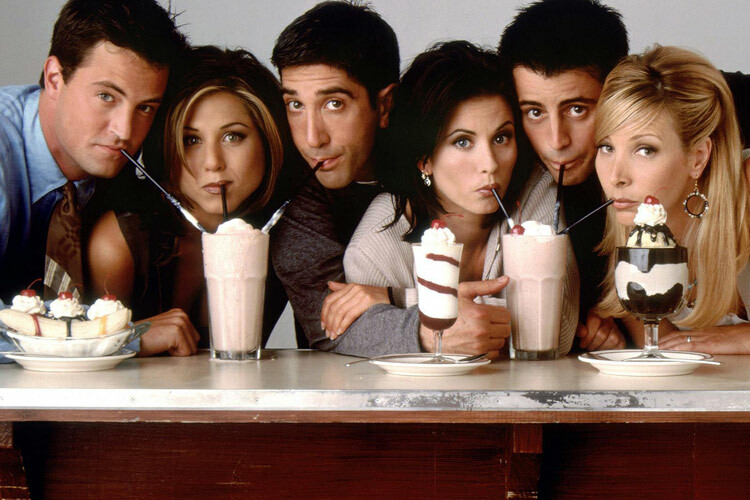 Friends is no doubt one of the greatest television sitcoms ever made. Living the lives of the six roommates over the ten seasons it lasted was an absolute joy. It was such a hit that its final episode, which was aired on May 6, 2004, was the fifth most watched series finale in the history of television. As dedicated fans, it is our duty to know as much about our beloved show as possible including the parts that we were not supposed to know about. Now that I have everyonea��s attention, here are 25 facts you probably did not know about Friends TV Show. #1 The show had a bit of an identity crisis in the beginning. The creators of the show, David Crane and Marta Kauffman had some difficulty settling for a name for the show. They danced around a number of options such as Insomnia CafA�, Six of One, Across the Hall and Friends like Us before finally settling for Friends. This just goes to show that not every great idea is usually thought out to the last detail. #2 The cast of six was given one last chance at a normal life. 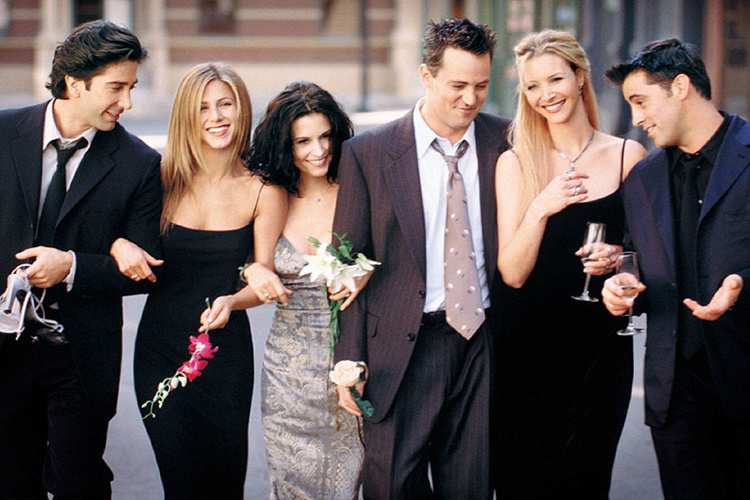 Before the show began to air in 1994, one of the directors, James Burrows took the six cast members to Las Vegas for one last taste of a normal life because he had a feeling that the show would be a great success. He told them to enjoy their a�?one last shot at anonymitya�? because he was certain that once the show aired, everyone would recognize them on the streets. Talk about a killer hunch. #3 Shooting a single episode took an average of five hours to accomplish. The show was also shot in front of a live audience for most of its episodes with the exception of cliffhangers. The cast actually preferred this method since it was a kind of a practice run to know how their television audience would receive the material. 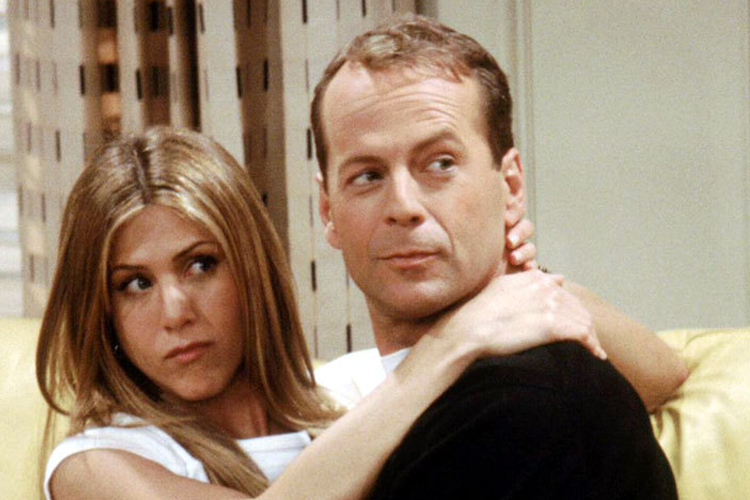 #4 Bruce Willis made an appearance on the show after losing a bet to Matthew Perry. The bet was about the movie they were filming together, The Whole Nine Yards, which Perry believed would top the box office on its opening weekend. Brucea��s earnings for the guest appearance were donated to charity. #5 The cast got together before every episode to wish each other a good show. The six were in every sense good friends and this is a ritual they carried out right to the last episode. #6 The apartment numbers of Monicaa��s and Chandlera��s apartment changed from 4 and 5 to 19 and 20 respectively, after the producers realized it would make more sense given that they lived on higher floors of the apartment building. #7 The Magna Doodle on Joeya��s door was drawn by the best boy of their electric crew. The buzz about these sketches grew as they kept changing every episode, leading to many believing that they had hidden meanings. #8 Everyone knows that the opening sequence was shot in front of the Pulitzer Fountain in Central Park, right? Wrong. 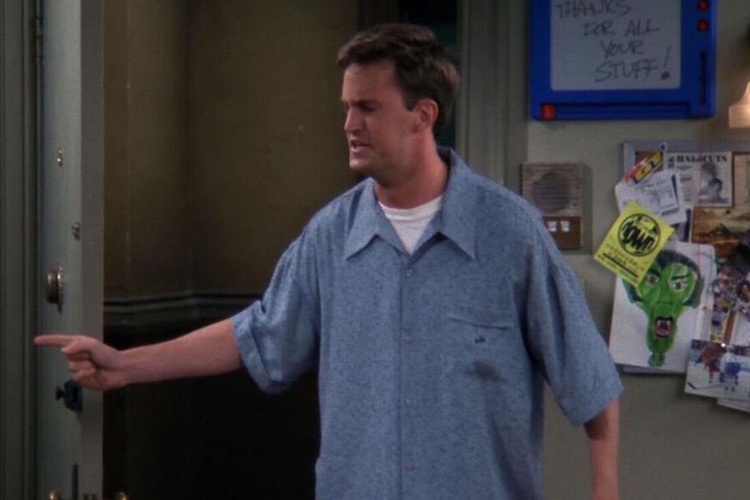 Contrary to popular belief, the sequence was actually shot on the premises of Warner Bros.
#9 Phoebe and Chandler were originally meant to be part of the supporting cast. The show was originally supposed to focus on Monica, Ross, Joey and Rachel. #10 On the premiere of the sixth season, everyonea��s name was given the surname a�?Arquettea�? as a tribute to the marriage of Courtney Cox and David Arquette. #11 The refrigerators in both apartments were not props. As a matter of fact, Monicaa��s fridge was used to stock drinks for the cast and the crew. 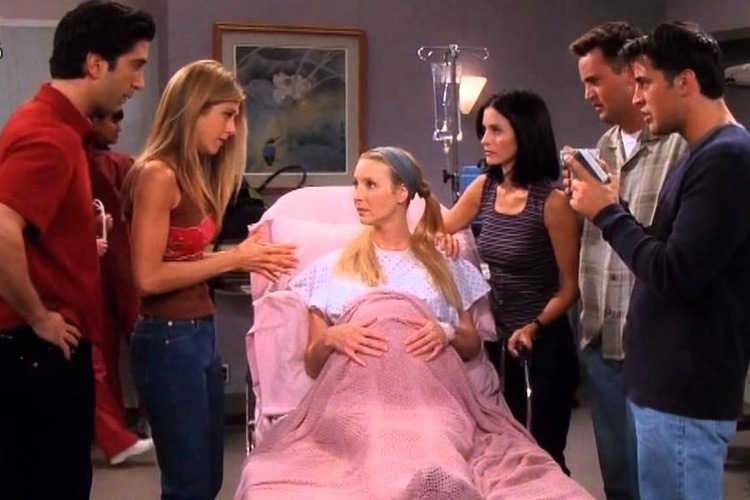 #12 The role of Phoebe had originally been offered to Ellen DeGeneres but she turned it down. 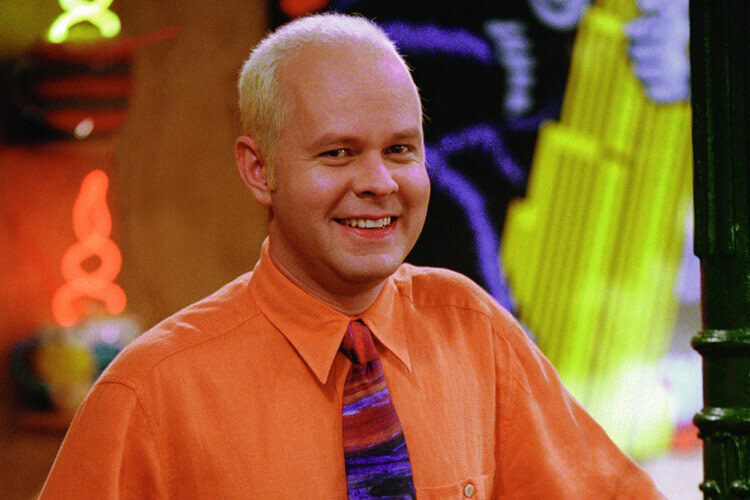 #13 Gunther, the barista who worked at the Central Perk, was originally cast as an extra simply because he was the only one who could operate an espresso machine. He did not even have a name until the middle of the second season. #14 Hank Azaria had in fact auditioned for the role of Joey Tribbiani twice but he did not get the part. He was later featured on the show as Phoebea��s scientist boyfriend. #15 Save for Monica and Phoebe, the rest of the crew have kissed each other at one point, be it during the show, behind the scenes or in those “what-if” episodes. 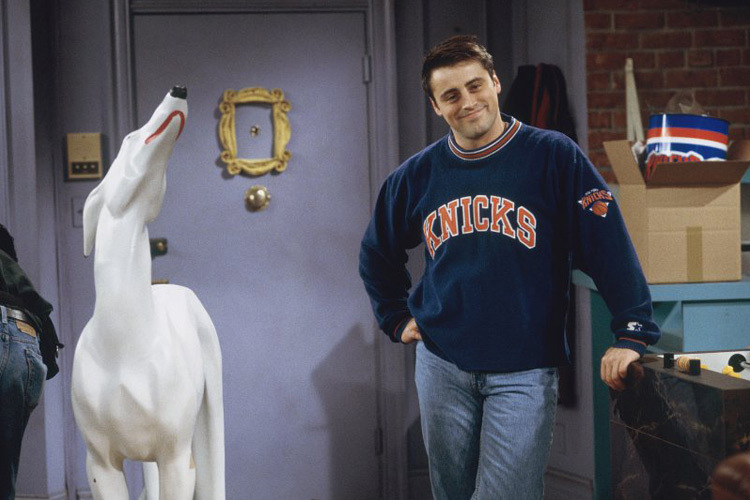 #16 The big white dog owned by Joey and Chandler was actually Jennifer Anistona��s, a gift she had received from a friend when the show started. #17 A few weeks after 9/11, some scenes from an episode had to be replaced last minute due to the sensitivity of the situation at the time. It was a scene where Monica and Chandler were being interrogated by airport security. #18 David Schwimmer is actually younger than Courtney Cox despite playing the role of her big brother in the show. #19 The cast had a surprisingly hard time with animals. Lisa Kudrow was terrified of the duck in season three. 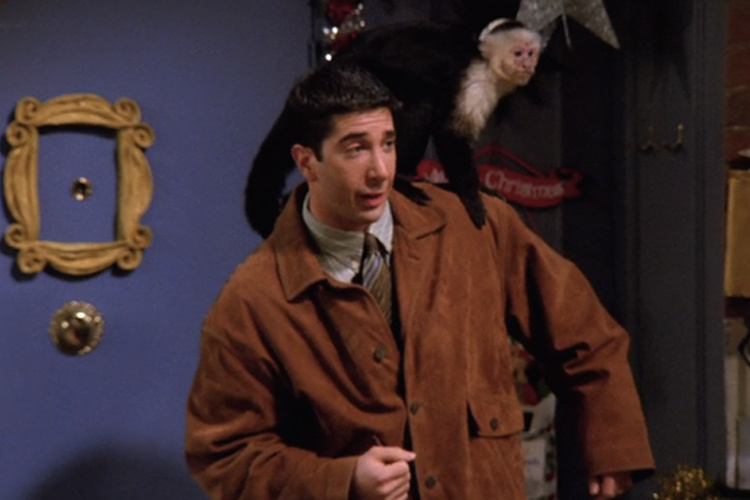 Rossa�� monkey Marcel was actually played by two monkeys, one of which was called Kate but it was later edited out because it took too much time to shoot scenes with a monkey. #20 Matthew Perry struggled with addiction to prescription pills and alcohol during the shooting of the show. He disclosed to People that although he was never high during filming, he was often hung over. #21 Jennifer Anniston who is undoubtedly the biggest star of the six was the last one to be cast in the show. #22 Two pregnancies occurred in the show. One was Kurdrowa��s in 1997, which writers decided to work with, making Phoebe act as a surrogate mother to her brothera��s triplets. The second one was Coxa��s but this was concealed since it was already known that Chandler and Monica could not conceive. #23 Ross remained 29 years old for three years. #24 They went from earning 22,000 dollars to 1,000,000 dollars per episode, and the best part is they negotiated their wages as a cast. This was a surprisingly effective act of solidarity because losing an actor does not necessarily mean that the show is dead. Losing all six main characters is a different story. #25 After the end of the final episode, each member of the cast was given a piece of the sidewalk that was outside Central Perk as a keepsake.